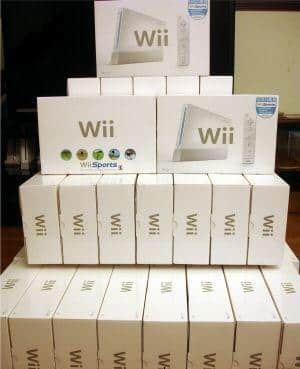 Last night we published reports that were emerging from various sites that Nintendo were readying themselves to unveil a successor to their popular Wii console at E3 2011, and today information regarding such hardware has been further heightened. Earlier this morning sources confirmed to EDGE that third-party studios, including those of Ubisoft, Activision and Electronic Arts, have confirmed recent information and stated that they have had development kits of Nintendo’s latest hardware for months. Alongside this, they claim that it retains motion control with capabilities that are “better than [PlayStation] Move,” although it is unknown as to whether Nintendo have introduced a camera to improve tracking as Sony have done. With CVG having revealed rumours that the controller for the system would feature its own built-in HD screen, IGN took this one further by adding that it would also have touch-screen functionality. Blu-ray.com are also reporting that developmental sources have told them that Nintendo is currently looking to use Sony’s Blu-ray disc format for the new console, yet whether this would be for movie playback or for games also remains unclear.